In the morning all the participants went to the Parliament House for the Prayer session. The Prayers were offered at the Parliament house by the Head Bishop of the Evangelical Lutheran Church of Papua New Guinea whilst the pastors uphold the work of the Government in their hearts through prayers. The 9th National Pastor’s Conference provides the opportunity for the Lutheran Pastors to go into the parliament house to offer their prayers for the Government of the day and for the many leaders for the years to come. After the prayers all marched to the in door stadium for a combine service with Holy Communion, attended by all the Lutheran Pastors with their spouses and the multitude of Christian members of the Papua District in the National Capital District. The Intercultural Youth Exchange Program was organized by the Youth Department of the church at Saxony through Freiburg District with the support from the Youth Ministry of the Government of Germany and the Lutheran Development Service in Germany. There were 8 participants from ELCPNG and 8 participants from the German team. This is the group report from the ELCPNG Team including the financial acquittal for the K600.00 group money given to the team on the day of the travel. In this report you will read about the highlights of the activities done during the exchange in a chronological order; and in the concluding section of this report you will find some practical recommendations for immediate considerations and actions, the appropriate authorities are asked to seriously consider. This report does not intend to degrade nor debase anyone at all levels, in the church and others concerned. Somewhere in the report you will realize that the report uncovers certain failures which has somewhat affected the ELCPNG Team performance during the exchange. It could have been better if such impediments were avoided. As I assumed, when I talked to some of the leaders during the team preparation, the youth exchange was not focusing only on the spiritual aspects. It was all about social, cultural, educational, emotional, daily encounters between young people from both countries. Most important of all, was the sociological aspects of the program which concerned me most. As leaders in our own rights we have the responsibilities to safeguard the dignity and morality of our churches. With due respect, I consider myself marginal in this matter. However, for the good of the church that I serve and the God whom I serve I am compelled to say that any matters relating to God’s business should be considered imperative above all else and as such we cannot dare to fail any of it. Since I was called to lead the team of these young men and women to represent ELCPNG, I intended not to fail. It was my responsibility to see to it that all was well organized and not ineptly prepared. Unfortunately, I was over looked and let down in the process, but this careless ignorant attitude did not affect the team’s performance during the exchange. The team excelled and performed extremely well and superb during the exchange. It was one of the well-behaved team I have ever led in my life, with very fascinating and highly talented young men and women in music and dances. I am so delighted to say that my church is really blessed with spirit filled young men and women. The Gabensis Lutheran congregation in the Gabensis Parish under Wampar Circuit of the Yabim district has gone into its first day of its congregation conference today. A three day conference was officially opened by a team from the Lutheran Head Office at Ampo upon invitation from the congregation. The team arrived late yesterday at the conference site (Gabensis village); an approximately 1 hr drive from the main hub of Morobe Province, Lae city to officially open the conference. The team led by Reverend Timothy Luke director of the Chaplains and Mission service, Reverend Hans Giegere secretary of the work man and woman accompanied by Jerry Daniels from the Communications center, Mrs Lakera Tepa the head woman and her husband Reverend Kervin Tepa; Mrs Ruth Yapi adult literacy trainer from education department; Mrs. Sawa Masoga secretary from Bishops office and others were welcomed with a Wampar way of sing sing at their arrival. 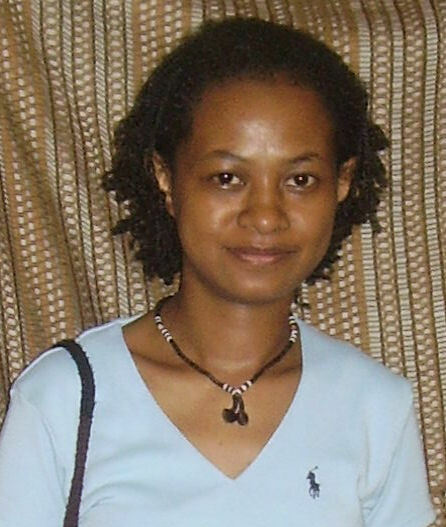 First youth female as a district youth Coordinator of one of ELC-PNG’s 17 Districts. For more than 50 years since ELCPNG was established there has not been a youth female who has hold a position of such responsibility. It is a privilege for the first time to have a young female being one of the 17 ELC-PNG district Youth Coordinators. Among the other 16 male district Youth Coordinators who participated in a Review workshop carried out by the National Youth Ofifice last month was Ms. Dika Napkai who is currently the Youth Coordinator of Papua district. Papua district is one of the few Urban Church district of ELCPNG.It was during this workshop that she was asked some questions. Would you give a brief history of your life? I am 26 years old and I come from a mixed parentage of Siassi (in the Morobe Province) and Hanuabada (in the Central Province). I come from a family of 7 of which I am the second born and the eldest daughter. 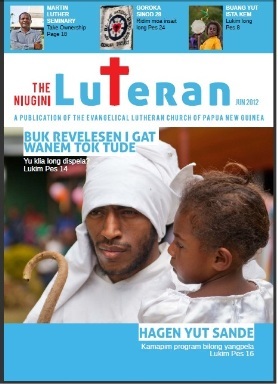 My family resides in Port Moresby City and we attend the Good Shepherd Lutheran Church, English Congregation. I work as the Administration Officer for iTEL (PNG) Microtech, a nationally owned IT Firm. I enjoy baking, traveling and taking pictures of the natural environment.